High Density Cleaner mainly applies to remove all kinds of heavy impurities in paper pulp, like staples, stones, glasses, etc. Some readers and customers ask about the texture, consistency and pressure etc. Therefore, we summarize the common questions, which are often asked by customers about High Density Cleaner. Question 1. What’s the pressure difference of High Density Cleaner? Answer: High Density Cleaner pressure difference is 0.05~0.1MPa. The inlet pressure is 0.35Mpa. Question 2. How to transform the parameter of High Density Cleaner into pressure difference, consistency & flow? Question 3. Is the whole equipment includes automatic deslagging valves? 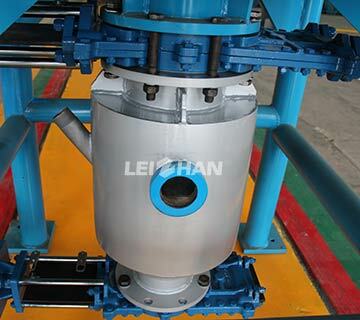 Answer: Yes, it includes two automatic deslagging valves, which is Linuo valves, which are the best of China. Another inclusive device is PLC control cabinet. It’s the connection of output & input, which can be manual operation. If it is remote mode, costumers can DSC or PLC operation. 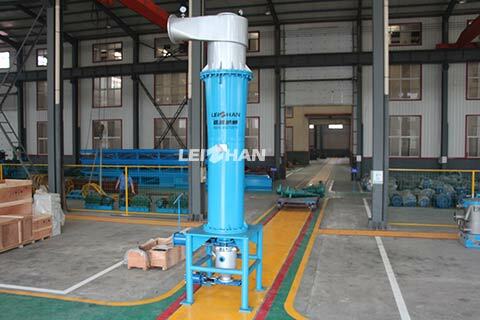 High Density Cleaner is double-cone structure, strong ability to remove heavy impurities. The cones are thickening wear resistant ceramic, long service life.